Echigo Farm: What is edamame? Edamame is a variety of green soybeans. They have long been popular in Japan. They have a nutty, sweet flavor and creamy yet slightly crunchy flavor. Boiled and salted edamame eaten out of the pod are a classic summer treat in Japan. In Niigata prefecture, a variety of edamame called “chamame” (literally, “tea bean”) is grown; it is considered one of the most delicious varieties in all of Japan. We grow only “chamame” from Niigata. 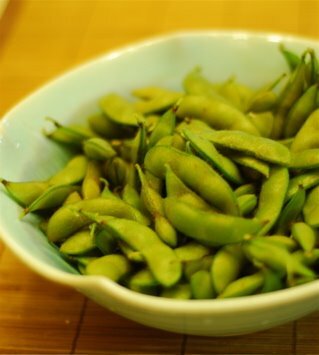 Boiled edamame is rich in Vitamin C, folate, thiamin, riboflavin, niacin, iron, calcium, potassium, protein, and fiber. 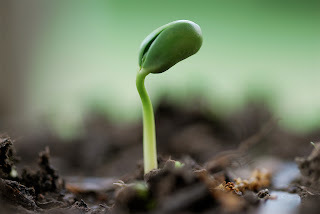 The most common way to eat edamame is to boil them (about 4 minutes) in salted water, drain well and cool (with a fan or by dousing in cold water), and then sprinkle a little more salt over the pods. You can squeeze the beans from the pods straight into your mouth or hand--the pods are inedible. Cooked shelled beans are delicious with a little butter or olive oil, salt and pepper. You can add cooked, shelled edamamae to soups, casseroles, stir-fries, salads, or home-baked bread. We specialize in only traditional, non-GMO Japanese varieties of edamame.